New Delhi: Two 50-m training tracks for India’s first bullet train project between Mumbai-Ahmedabad are ready, according to a report. 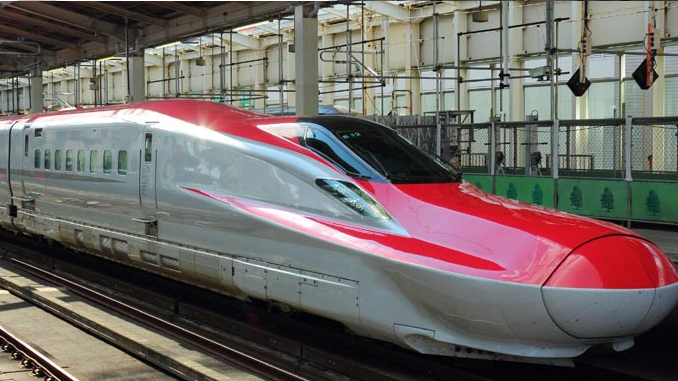 The tracks slabs are made from high strength concrete using Japan’s Shinkansen (Japanese bullet train) technology, it said. The tracks include one 50-metre straight line and another same length for a curved line, reported TOI. The tracks are developed at High-Speed Rail Training Institute (HSRTI) in Vadodara. The National High Speed Rail Corporation Limited (NHSRCL) is setting up HSRTI at an estimated cost of Rs 600 crore on the campus of National Academy of Indian Railways, Vadodara. The institute will train manpower in high-speed rails. Rs 38 crore Of the total Rs 600 crore will be spent on the 1st phase of the project, the report added. NHSRCL is implementing the high-speed train corridor project between Ahmedabad and Mumbai. The total length of the proposed corridor works is 508.17 km. The route of Mumbai Ahmedabad High-Speed Rail will be passing through two states, Maharashtra and Gujarat and one Union Territory, Dadra and Nagar Haveli.